Let me start this review with a spoiler; for me, Sports Interactive’s Football Manager Touch 2017 ($19.99) is probably the most complicated (yet still accessible), most replayable, and most entertaining game on the App Store. This is a game that lets you play any team from over 130 leagues across the world, and all those teams have their real-life players in their roster, and each of those players has his real-life stats (as well as those can be put into numbers). And you can play with that team for season after season all the while customizing it in all kinds of ways. 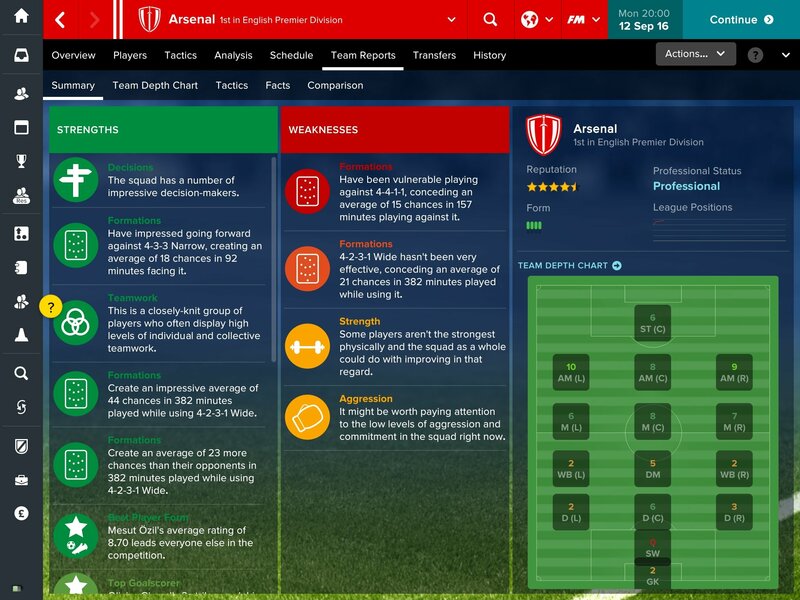 I’m constantly amazed at all the little things I discover in this game as I go along, features and details that make playing the game faster while at the same time giving me more ways to interact with my team, my board, my training staff, and pretty much everyone in the world of Football Manager. So, as you can already tell, I think this game is terrific and an improvement over Football Manager Touch 2016, albeit in subtle ways. However, not all is rosy unfortunately. FMT 2017 is only playable on top-of-the-line tablets, yet it still crashes way too often on my iPad Air. The crashing is pretty persistent and is quite a big blemish on what is otherwise a fantastic game. Yes, there’s been an update that presumably has fixed some of those issues, but go in knowing that you’ll get numerous irritating crashes on the older high-end devices. 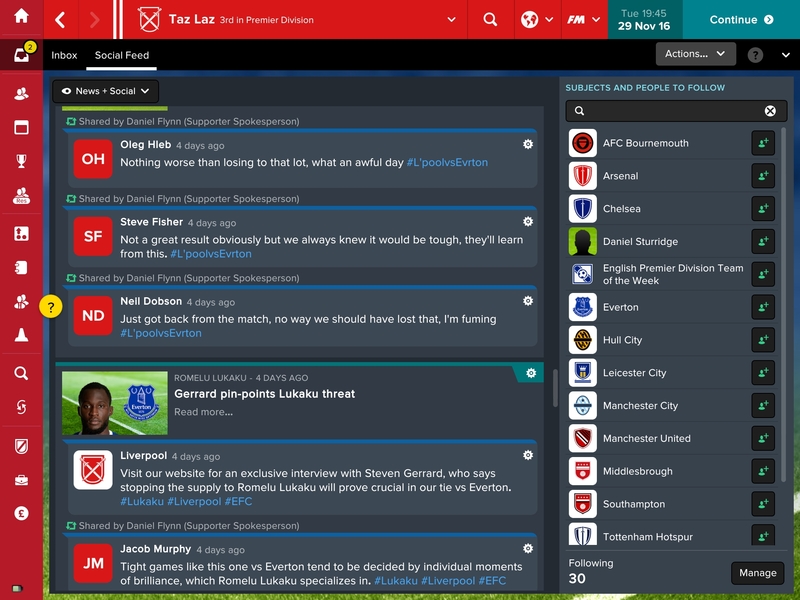 Football Manager games have often been called “spreadsheets" because of the sheer amount of stats and calculations going on under the hood, but calling FMT 2017 a spreadsheet does a disservice to the game and makes it sound boring when it’s anything but that. Yes, the game has a ton of stats; for instance, each of the thousands of players in the game has detailed stats ranging from how fast he can run to how good of a leader he can be. There are also ton of stats regarding a player’s performance going back years including where he played, how he performed, and much more. However, even though the players are actually just a bunch of stats, they feel real because of how SI fleshes out their character quirks. Each player has short term and long term plans (wants to win a trophy or play in the first team) as well as positives and negatives in terms of happiness. They might think that one of their teammates is a great player and playing next to him makes them happy, or they might hate his guts and be unhappy just because they have to share a dressing room. And when a player is unhappy, his morale drops and with it his performance. I can’t count how many times I’ve had amazing players not perform because they were angry about something or other. 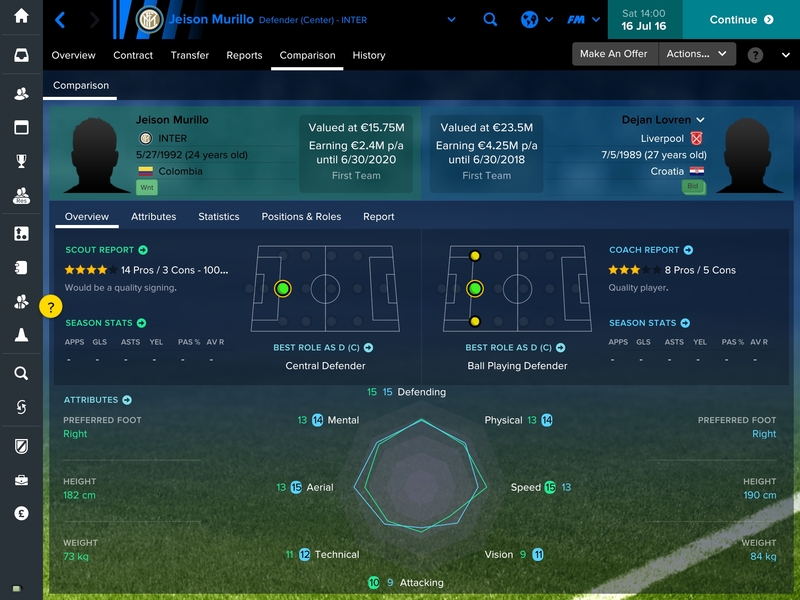 In my most recent season, one of my top defenders got a big offer from another team. I, of course, wanted to hold on to him because there weren’t too many days left in the transfer window. Well, he didn’t take my turning down the offer well and he got so unhappy that he was useless. All these character-related features really make you see those players as real people (though not like them very often). If you aren’t the kind of player who loves studying numbers and stats, FMT 2017 deftly lets you skim the surface of all those stats by offering features like quick player comparison, player rankings for each team position, and many more similar features that allow you to swim into the shallows of the stats ocean or dive head first and spend hours comparing them yourself. There was a time in the franchise not so long ago that we had to write player stats on paper in order to see which player was the best in a specific position, but those days are long gone. FMT 2017 also lets you delegate as much of the burden of coaching as you want. 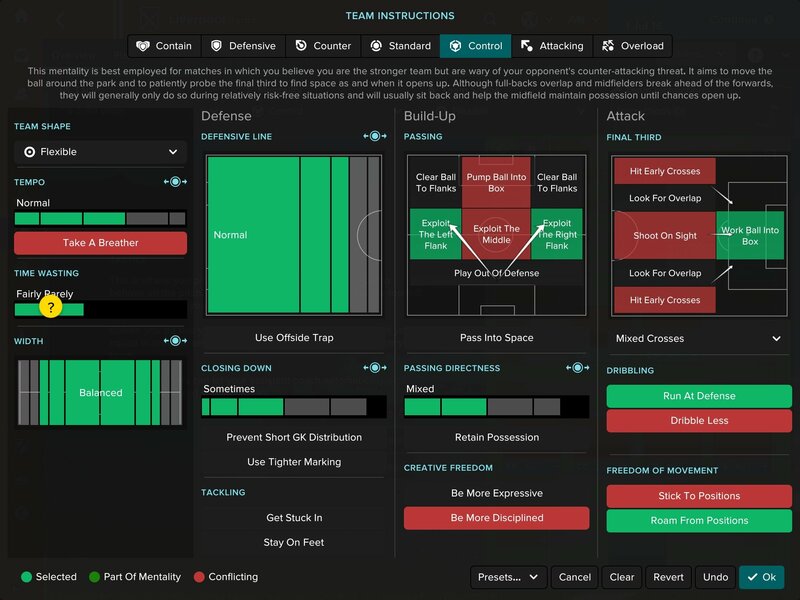 The way FMT 2017 handles stat comparison is just one way in which the game allows you to take or relinquish control of your team to the degree you desire. The game is a beast in terms of how many aspects of a team you can control, but SI has learned by now how to give players ways to make the game as easy or as demanding as they want. When I say easy or demanding, I don’t mean in terms of how often you’ll win; that remains constant throughout. What I’m referring to is how easily you can pick which aspects of a coaching gig you actually want to mess with. Let me give you an example. Imagine that your team is sorely lacking a strong striker and you want to fill that gap as soon as possible. One way to do so is to go to the Player Search screen, pick Attackers from the filter, further filter by price, age, stats, and more, then see which players look promising, and finally have your assistant scout the player. If you think he’s suitable, you can then make an offer by tweaking the many different incentives, clauses, and fees, and wait to hear back. Or you could just have your assistant do the scouting for you, and if he finds someone interesting, you instruct him to mark that player as a transfer market. Your assistant will then proceed to take care of all the negotiations – based on your instructions like maximum wage and so on – and either succeed or fail. So it either takes you 15 minutes or 2, your choice. See what I mean by delegating? If you’re only interested in picking players and tactics, you can do that. If you want to set up training regimes for the whole team or for just a couple of players, you can do so. If you want your assistant to take care of friendlies, or contract renewals, or pretty much any part of the coaching, you can do so. I don’t know many iOS games that have such customization in terms of gameplay. and FMT 2017 is much better for it. These delegation options allowed me to either pop in and play briefly if I only had a few minutes to spare or sit on the couch and play for much longer. And this year’s version has a new feature that lets you get an instant result mid-way through the game if the situation demands it. Hats off to SI for managing to develop a game that can be played both casually and in brief intervals or as a complex, time-consuming football simulation. The game still offers a 3D match day experience, which allows you to split your screen in all kinds of ways to get the information you need while the match is under way. 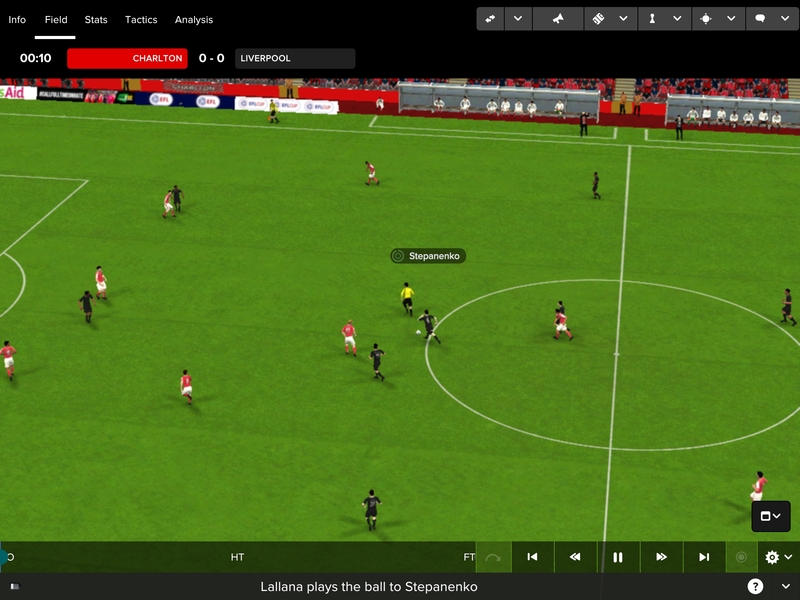 For instance, you can have half of the screen show the highlights while the other is showing your players’ ratings. Or you can have both teams’ ratings to see which opposition player is performing too good for his own good. However, the 3D engine continues to have weird slowdowns and stutters, so that takes away some of the immersion. And you still cannot watch a full 90 minute game but only highlights. Still, it’s fun seeing your players mess up your instructions in 3D. This year’s edition had added in-game social media, and it’s actually more fun and more useful than it sounds. You can follow the feeds of teams you want to keep an eye on or players you’re interested in or even your own players to see how they are dealing with the team’s results. It might be a small addition, but it definitely makes the game feel more “real" and helps you get even more information if you so desire. It’s actually funny seeing fans of your team express their dissatisfaction with your latest blunder over social media in not so subtle ways. In addition to letting you pick a team and go for glory, FMT 2017 offers Challenges that let you test your skills. There’s one where your team is in the relegation zone and you only have half a season to keep them up, or another where your team is filled with exceptional youth players and you have to lead them to a trophy. All these challenges have various difficulty settings and are pretty fun to play. There are also Challenges you can purchase as IAP for $0.99 each. 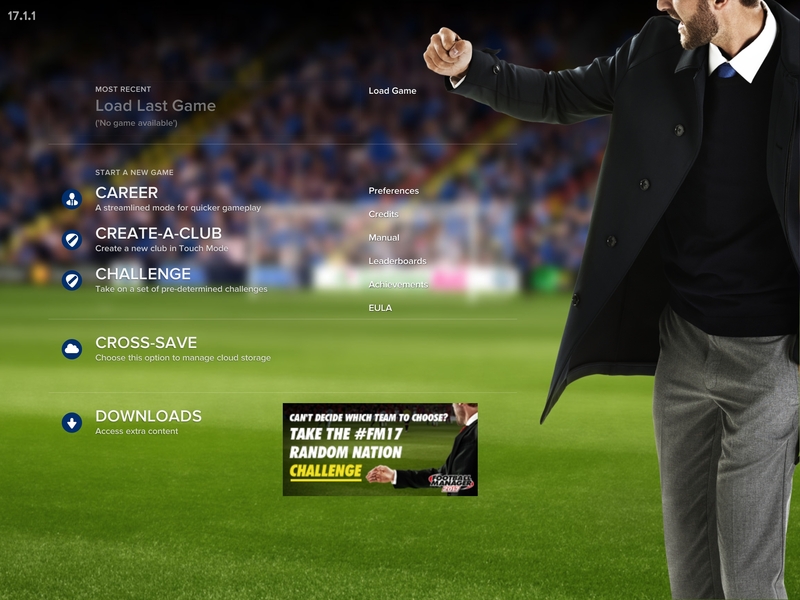 And if you want to make the game easier to play, there are quite a few IAPs that allow you to become impervious to any sacking attempt, get unlimited scouting, have all the players in the world interested in joining your club, and so on. These are completely optional so don’t see this as content hidden behind a paywall. I’ve never bought any unlockables and simply play the base game. Is FMT 2017 worth buying? Let me put it this way; this is my game of the year so far, despite its frequent crashes. One reason the crashes haven’t been game-breaking to me is that no matter when the game crashes – be it during a match or after a match – when you restart it you continue right where you left off. If the game crashed in the 54th minute, when you reload you start from the 54th minute with the same score. Is that ideal? Of course not. I don’t enjoy a game crashing once, let alone frequently, and these crashes did affect my review score. Football Manager Touch 2017 is a five star game for me, but I can’t give it that considering the technical issues. Still, this is one of the most engrossing games on the App Store and will have you coming back for that “one more match" every single day. For me, that makes it more than worth the money. This game will only work on iPad Air 1 & 2, iPad Pro 12.9 & 9.7, and iPad mini 2, 3 & 4.